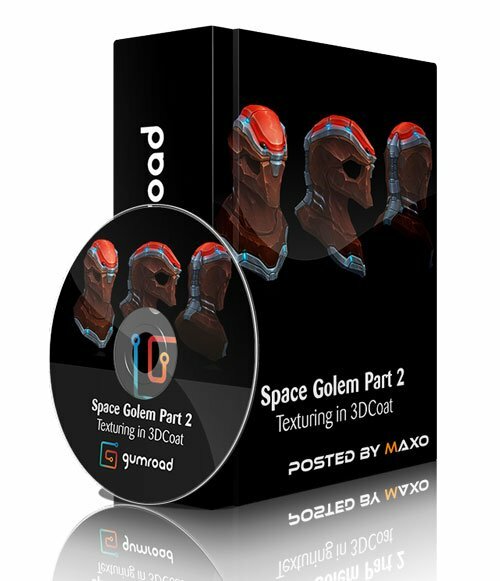 Gumroad - Space Golem Part 2 - Texturing in 3DCoat » 3Ds Portal - CG Resources for Artists! In this tutorial, I will be sharing my approach to texturing rock, metal, glows and shiny plastic materials using a hand painted style. I will be going over how to begin and how to approach taking it to a finished state. Additionally, I will be covering two different versions of plastic visors, with one being shiny and one being more translucent. I want to demonstrate viable options for tackling this type of material as well as touch upon how to be flexible with your designs. This tutorial is designed for artists who are new to 3DCoat, as well as for artists already acquainted with the program.